As more and more of your potential customers view your business on Google, fewer and fewer of them actually click on your website. How can this be? A Moz study from 2017 shows that 34% of Google searches result in absolutely no clicks, and this means that customers are viewing your business info directly on Google rather than on your website or social media page. This is why it’s important to improve your branded search results. Think about it: your clients can Google your business, contact you or find directions to your address directly from the search results. 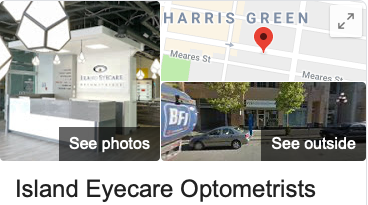 That is if you have a Google My Business page properly optimized. When they can do all of this, many of them will not visit your website. So what does this mean for you? This means that Google needs to become your new home page, and this includes extending your brand to your search results. When your potential customers Google your business, what do they see? Does this result reflect your company’s brand in every way that it could? Your branded search result is the page where Google sums up everything it knows about your business, and this is where your potential customers will get their information. Since word of mouth is such a huge driver for business, Google takes part in this by providing customer reviews attached to your branded search results alongside your company info. 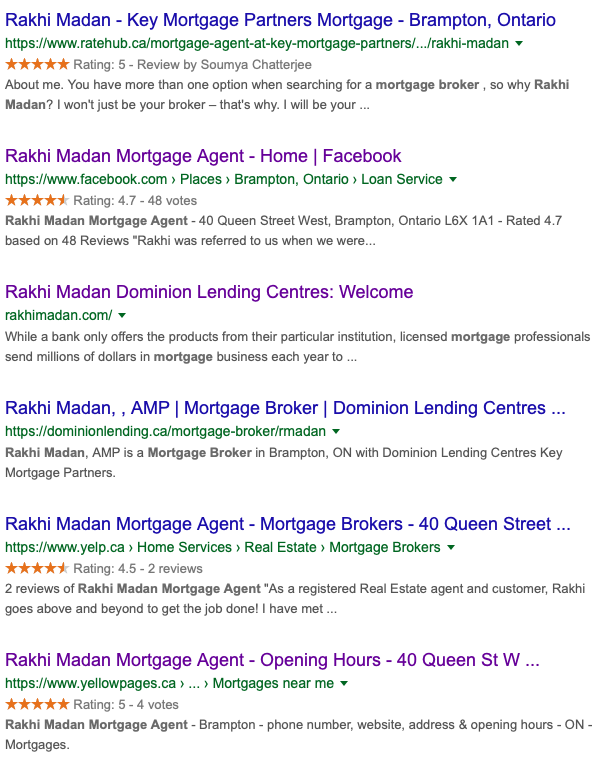 Let’s talk about how to improve this branded search result and leverage all of the elements that Google offers. You may be wondering how much control you actually have. After all, Google owns the search result and not you. In reality, you have much more control than you think, and with a little bit of planning in addition to your already successful business, you can create a great narrative about your business right on Google’s page. Start with consistency. No matter what variation of search your potential customer types or where they look on the screen, your brand should be clearly and consistently visible. 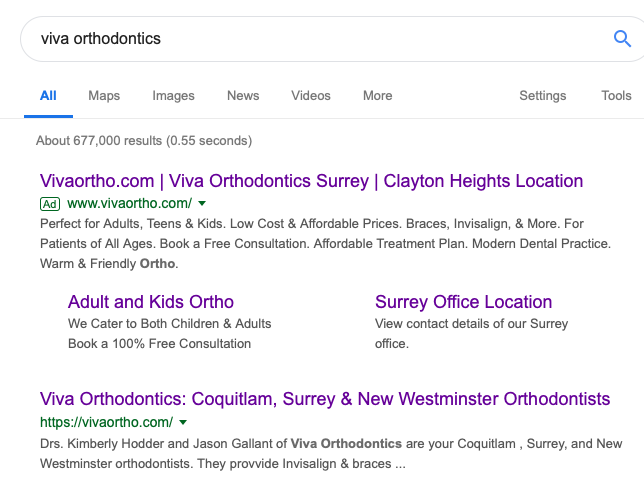 If your branded search result appears different depending on which variation of your business name is searched or where it appears (in the knowledge panel, the local content, ads, etc. ), this looks unprofessional and untidy. Google deep down needs consistent information about your business. That means your business name, address and phone number better be consistent to your website and all over the web. While I am focusing on desktop searches here, it is important to focus the same attention on mobile as well. Failing to do so will cause you to miss out on many potential customers who search your business using their cell phone! A few years ago I wrote about how Google could be poaching money from your business by displaying your ad for a branded search result. I was silly in thinking this. Why? I realized it’s actually helpful so that COMPETITORS don’t poach current or potential clients when someone searches for your brand. Also, Google gives you a low cost per click for branded keywords. We’ve implemented for a few clients recently and the average costs run from $.50 – $1.50 per click. It’s well worth it to have a branded adgroup. This alone won’t fully protect your brand from competitors, but it is a great start to build a consistent branded search result. This is one of the areas of the page where you get to control both the social proof and the messaging. You will see these results high on the page (possibly first if there are no ads) and it is definitely the first thing your potential customers will see about your brand. Alongside well thought out titles and meta-tags, you will want your customer’s social proof to show on your most critical product and service pages. Google has full control over the pages they show below your homepage but they will decide what’s important for the searcher. It should also be noted that Google will almost always recreate your homepage title to your brand name for branded searches. 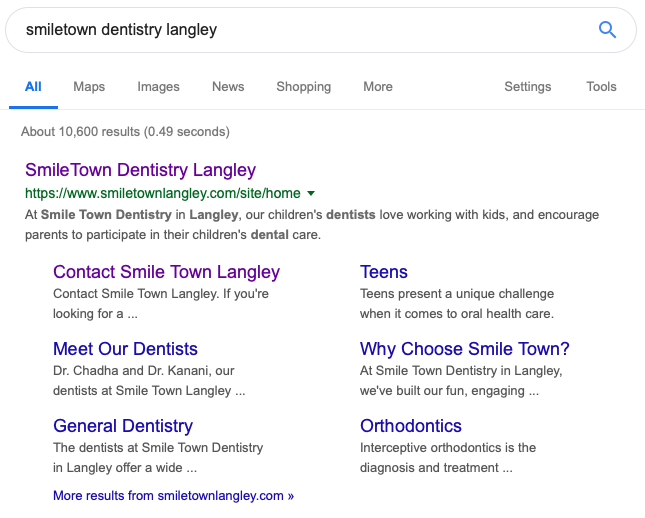 The above example is what Google recreates the homepage title to and the below screenshot is what Google shows for a keyword search of “pediatric dentist Langley”. I mention this so you don’t get bogged down with deciding about putting your brand name at the end of your homepage title when it’s optimized for keywords. After viewing your branded search result, the viewer will most likely move to the Google My Business section to learn more about your business. Your Google My Business profile image is key as it gives a first impression of your business. Try using a good quality, closely cropped image that is compelling and appealing. Local customers do not want to see your logo, they want to see you and your products! Besides your profile picture, every other picture should be equally compelling. You never know if a customer will go through your entire gallery, or Google may choose a different photo to highlight. Just under your photos you will find your Google review summary. When it comes to Google reviews, don’t give up! Keeping a sustained effort that gains 1-2 reviews a month can build a strong online foundation for your business, and it can bring you a step above competitors. 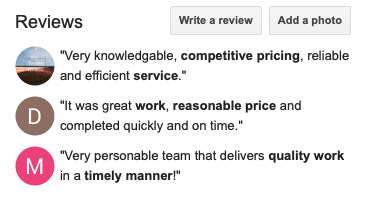 Never underestimate the power of a Google review, and especially the snippets that the Google algorithm picks out to reflect your business. And don’t sweat the negative reviews, they will eventually be pushed to the bottom of the page if you keep up your efforts. Did you know that posting your business hours could increases your requests for driving directions by 13% and the clicks to your website by 42%? Add as much as your business information as you can, this includes adding a link to your service pages or your menu. 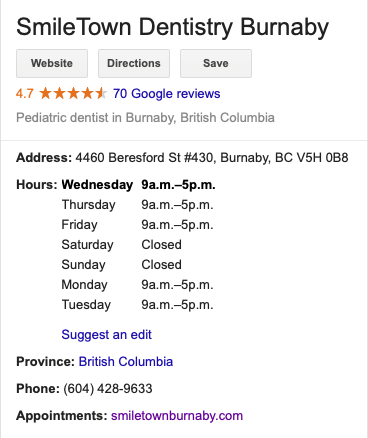 Google recently also added the ability for professionals to upload an appointment link (one more place for your client to click through to your website). 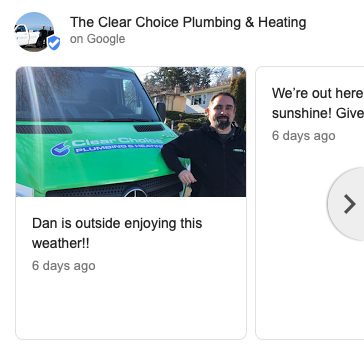 There are three things that will help you make use of the new Google post feature: a great photo, a a short but compelling introduction to your business, and a call to action. While Google allows posts to be 300 characters long, only the first 100 characters will show in the knowledge panel so you need to make them count. Since this is still a relatively new feature users are still getting used to it, but hopefully the feedback is positive as it provides another way to showcase your business on Google. If you haven’t enabled Google Posts, “Reviews from the web” will show up right below your address info. This section has the space for up to three review sites, and it is very important that you get three review sites to show up there. Right away, add your own site and Facebook to your plan as Google will show both of these sites. You can include your own website by creating a consumer facing feedback program and posting the content in rich snippets right on your website. Don’t bother trying to get Yelp or TripAdvisor to show up here, Google will not add either site to this section. Some sites you could try are YellowPages and Facebook. You should view your review strategy over a 3-4 year timeline, so there is no rush to get reviews right away. Choose a few review sites to work on and go from there. Once the user is done with the knowledge panel, their eyes will wander back to the organic search results for your business. This means that if well known sites such as Yelp or BBB show up, they will attract the user’s attention. With the exception of Yelp, BBB, and Tripadvisor, these sites also inform the “Reviews from the web” section in your knowledge panel, so if they did not see the info there, hopefully this is their chance to view it. It’s always a good idea to keep an eye out for the next features that Google will be releasing on the knowledge panel because this helps you stay on top of your branded search results. Google is constantly changing and because of this you should continuously check your search results to see how the changes affect them. New features are being added and changed so fast that this article will probably be slightly outdated by the time I finish it – but it’s a good place to start if the concept of branded search results is new for you. That was a lot of info, but it is all key to improving your branded search results and getting more potential customers looking at your business. Try some of these tricks out for yourself and see the results. Contact us today if you are looking to improve your SEO rankings or Google Ads campaigns.